That is an early model BMP-3 as shown by the laser rangefinder above the main gun barrel. I like the newer model BMP-3M with the extra side armour and all internal improved electronics (including thermal sights and internal laser range finders and lasers for beam riding missiles). Very cool video of BMP-3 amphibious mobility. Nice. I've only come across small sized pics of the up-armoured BMP-3 so far. I think the protection for BMP-3M is quite decent considering its generation but Mine Protection is important may be it was not part of BMP-3M design process. The design focus of the new generation Russian armoured vehicles is crew and troop safety. Very simply you can't make a vehicle that is mine proof, the best they can aim for is a vehicle that protects the people inside it from the most common threats it is likely to face. The problem is that people are not stupid... when the standard land mines fail to kill enemy soldiers then you start enhancing them with heavier charges or extra charges located around the primary charge. Eventually they will hit on an effective counter to any armour array. At the end of the day any tracked vehicle is vulnerable to losing a track to even a relatively small mine, and once immobilised it is vulnerable till it can be recovered. Just like APS systems improve armour without adding too much weight or design complication, active anti mine technologies like rollers and ploughs and even the use of systems like TOS to clear known mined areas will reduce the threat of land mines. Built in electronic jammers to counter IEDs and explosive sensors can also reduce the threat too, but the threat can never be totally eliminated. In Vietnam the VC used to wire up dud 1,000lb bombs as mines for anti personel and anti armour use... no vehicle could run over such a mine and protect its crew... unless it is unmanned. GarryB wrote: The design focus of the new generation Russian armoured vehicles is crew and troop safety. Probably also the reason why they went from 100 mm Gun to 40 mm one so as to get more space for crew comfort and protection. First of all we really don't know what gun they will go for in their IFVS... the likely weapons are a new 45mm telescoped round and an upgraded S-60 57mm round. I rather suspect that they might retain the 100mm guns in some form and if they are replaced it will likely be by a more flexible weapon like the 120mm rifled gun mortar seen on the Vena and the armata BMPT model. The large calibre gun will be rifled because its primary round will be HE and that is what it is for... a direct fire artillery vehicle. At the moment there are three main types of IFV in Russian service... the BMP-1 with good HE firepower and good anti armour penetration with HEAT rounds but low ammo capacity, low rate of fire, limited elevation, and low muzzle velocity. They also have the BMP-2 with high rate of fire, high muzzle velocity, good ammo capacity, but lacking armour penetration performance against Bradleys and Warriors, and also lacking a powerful HE capacity against structures. And the third vehicle is the BMP-3 which has even better HE firepower than the BMP-1 with a more compact and effective HE round that can be stored more efficiently, with a reasonable rate of fire, but also with an auto cannon, so it is the best of both vehicles. The new IFVs will need to be able to engage enemy IFVs which means 30mm is not powerful enough, so they need to change that. A good 45mm round with APFSDS rounds and also perhaps laser guided HE shells could possibly do a reasonable job of replacing both the 100mm and the 30mm but I suspect that they will also introduce a BMPT like vehicle to boost direct fire HE capacity with a rifled 120mm gun/mortar. It means maintaining... and actually increasing the direct fire HE capacity without introducing a new calibre that is flexible to use shells and standard mortar rounds (including NATO 120mm mortar rounds BTW). It is all together possible they might keep some IFVS with the 100mm/30mm weapon combination simply because it is effective in operational environments where the enemy does not have significant armour... the 30/100mm weapons are cheap and available and stocks of ammo will be usefully used instead of newer expensive guided rounds. Having IFVs with HE shells of 100mm or greater calibre means less reliance of MBTs for fire support and the greater elevation and low velocity means targets behind cover can be engaged using indirect fire more easily... the combination of higher muzzle velocity and lack of elevation range means MBTS are actually fairly restricted as to the targets they can hit... pretty much direct fire line of sight stuff. I dont know Russia will so easily give up to 100mm capability being able to shoot guided ATGM at long distance. 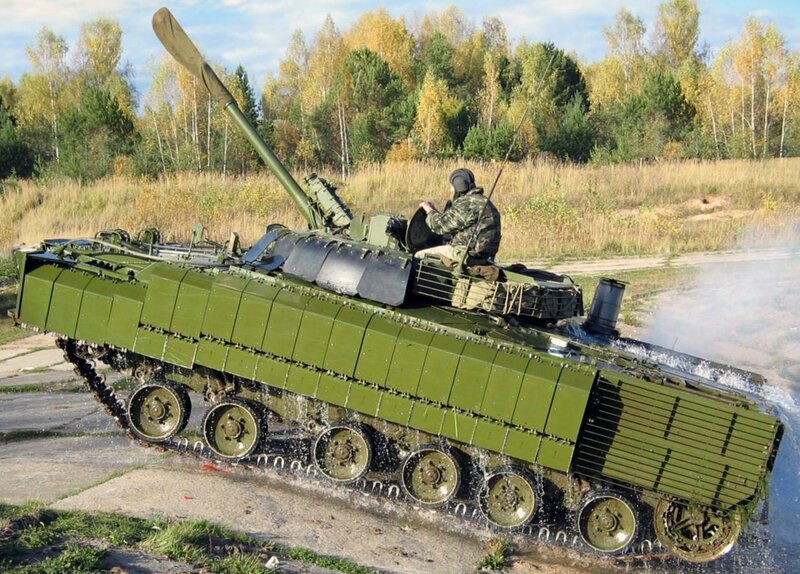 They already have... look at the BMP-2M upgrade with four fixed Kornet launchers. If they are not going to add 100mm gun capability to a 45mm gun armed Kurganets then they will likely add 4-8 Kornet-EM launchers with 8.5km range against enemy armour and 10km range against softer targets and aircraft... which is rather better than any model 100mm laser guided GLATGM (Gun launched ATGM). 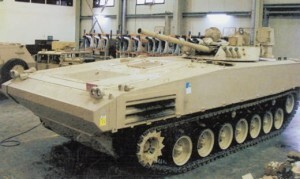 GarryB wrote: It is all together possible they might keep some IFVS with the 100mm/30mm weapon combination simply because it is effective in operational environments where the enemy does not have significant armour... the 30/100mm weapons are cheap and available and stocks of ammo will be usefully used instead of newer expensive guided rounds. I think if they do keep the 100mm rifled gun then it will be with a 30mm cannon because they compliment each other... one is a low velocity weapon with a large HE punch with a curved trajectory for landing rounds behind protection like houses or rock walls, while the other is a high velocity high rate of fire weapon useful against enemy light vehicles and infantry and aircraft. A 45mm or 57mm weapon is much a larger weapon and the ammo is pretty big too and there will not be room for lots of 45/57mm rounds AND 100mm rounds too. 30mm rounds are not actually that small but take up rather less space. 45/57mm rounds should also have enough HE power to make the 100mm gun less useful. I rather suspect that a possible choice might be to have BMPTs armed with 120mm gun/mortars in significant numbers within a brigade. Remember that in an old brigade the BMP-3s offered significant direct and indirect fire power, while the APCs with HMGs (14.5mm) and light cannon (30mm) in the BTR and BTR A model APCs also offered supporting fire. The new brigades will lose a lot of firepower with the replacement of the 100mm/30mm with 45/57mm guns so perhaps a compromise of some vehicles with 100mm/30mm armament and the rest with 45/57mm would be one option. The old mix was largely created because BMPs had heavy armament, while the BTRs had light armament and armour, but in this case all the vehicles will be the same so the IFVs will have heavy armament (45/57mm and Kornet EM) while the light vehicles will have lighter weapons (30/14.5mm) the reduction in firepower could be countered by having a couple of platoons of BMPTs with 120mm rifled gun mortars which would more than replace the 100mm rifled guns as the 120mm has greater range and more powerful ammo, of a much wider variety and also more guided weapon options. The 100mm round of the BMP-3 is a near perfect round for the role however as it has a large projectile with a small case which makes it compact and effective. Hopefully the new modular vehicles will allow a range of weapons options to maintain flexibility as the 100mm rifled gun would be a very useful weapon in a range of environments against a range of targets. I think that buying the BMP-3M could be a good decision for India, but they need to do some changes to get the most from this vehicle. The main problem for India is the requirement to have the BMP-3 swim. The meaning of that is 25 ton vehicle that can’t have a good protection. 1. APC. - For that we need to take out the turret of the BMP-3, and replace it with Kliver turret but replace the 30mm gun with 14.5 HMG. By doing that we will separate the troops from the explosive ammo and the soldiers will be safer. 2. ICV. - For that we will use the same BMP-3m, but only with 3 crew stuff and no dismount troops. By doing that we will keep the power of the BMP-3 but without put the troops in danger way. I think that the 2 project that India has developed, the weapon carrier (tank destroyer) called NAMICA and an AIFV known as Abhai, are close to my way of thinking. 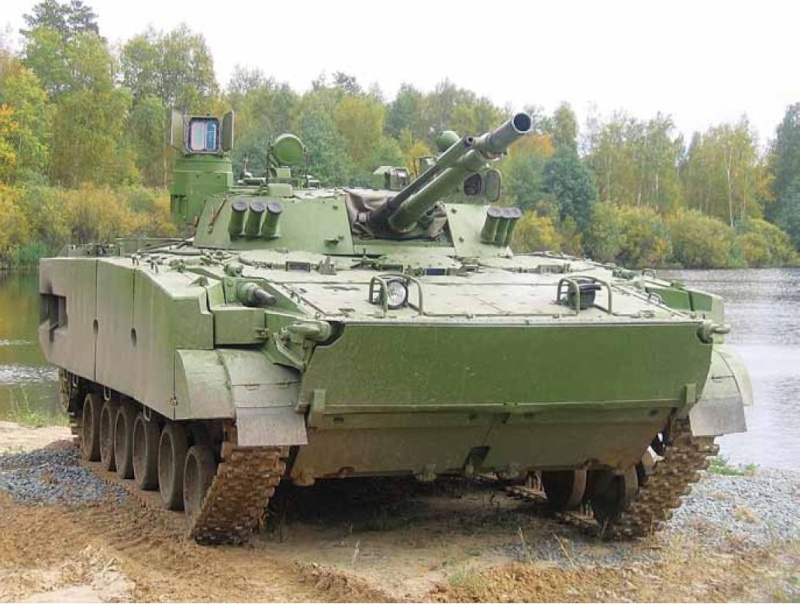 The BMP-3 is an 18 ton vehicle, it is the new Kurganets-25 and Boomerang-25 that will be 25 ton vehicles. The main issue with the BMP-3 is balance... heavy frontal armour plus a very heavy turret meant the engine had to be move to the rear to stop it nose diving in the water. This meant that a standard rear exit is not easy with the BMP-3. The Soviets know rear exits are best... the BMP-1 and BMP-2 both have rear exit doors, but with the engine in the rear the BMP-3 have a series of doors and roof hatches so the troops can climb over the engine to exit the rear of the vehicle. There is nothing impossible about making a 25 ton vehicle amphibious and having good armour... that is what the Russians are trying to do with the Kurganets and the heavy boomerang, but they are using lighter and more expensive and exotic materials in the armour to let them do that... potentially using new plastics and other materials. While vulnerable a small squad of troops with your armoured vehicle make it more flexible and safer. Your idea of two vehicles has a lot of merit, an APC model with a heavy machinegun turret and perhaps a few ATGMs for hitting point targets makes sense especially if fitted with a gun stabiliser and modern thermals to allow useful fire support for the dismounted infantry. The IFV model with extra ammo would be interesting too, though I would probably go with a crew of 5, but I would move the front two gunners either side of the driver to the rear and mount low flat turrets to the front and rear hull mounting a single PKT machine gun and a 40mm automatic grenade launcher like the Balkan. I would design it so that the top of the front and rear turret are level with the hull roof so they don't interfere with the main turret and each turret has a wide field of fire with one turret on the front facing forward and one on the rear facing backwards with night and all weather optics mounted on them. This would mean that the vehicle could deal with attacks from front and sides with the front turret, the rear and sides with the rear turret and any direction with the main turret so any attack should result in at least two gunners being able to engage... in fact an attack from the side could result in all three turrets engaging. The bow gun positions limits them to targets in front of the vehicle over fairly narrow arcs. We can see that the engine move to the front, and the turret move to the back, and the 2 agl-30mm are not there anymore. Thanks for posting that picture... had not seen that before. Regarding the APC model with the HMG armament I actually think that right now a useful weapon would be the KPB, which is a KPV HMG but with the barrel changed to fire the 23 x 115mm ammo used in aircraft. The 14.5 x 114mm round is a very powerful round that could be developed to have a very useful SLAP type round and it is large enough in calibre to carry a useful payload of explosive. 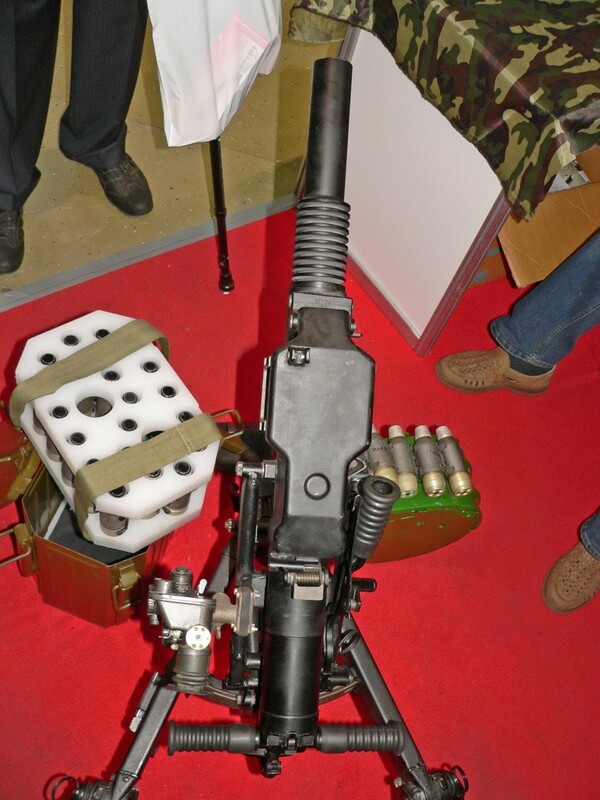 The 23mm calibre round is similar in size and would not take up much more space in internal ammo stores yet would be able to deliver a much heavier HE payload to the target. Equally the larger calibre barrel would allow a much more powerful powder charge to be used with an APFSDS round that will be even more effective in terms of armour piercing capability than the 14,5mm round. The KPB and the KPV are very similar weapons and could use the same mounts and equipment. This is obviously more interesting to the Russians than the Indians as a change from the widespread use of 14.5mm HMGs to a more powerful but very similar 23mm round would be a cheap way to increase firepower at low cost, but certainly India could equally benefit from the increased firepower. The result for an India APC would be a light cannon the size and weight of a HMG yet with the HE power approaching a 30mm cannon. The figure of 25 ton come from the Kurganets, if they can swim with 25 ton, the BMP-3M can swim too. The upgrade BMP-3M with his add on armour, (that can protect the side of the vehicle from 0.5” bullets) and with ERA, I guess the 25 ton is in reach. As for the rear door, I would like to remain you that Israel use the T-54/55 as an H-APC and they swing the engine 90 degrees, make a rear exit door, make a corridor between the engine and the side, so the soldiers can get out from this back door. Maybe can be done in the BMP-3 too. You can see from the picture below that this turret is perfect for the APC. If we will change the 30mm to 14.5mm HMG or 23/115 as you said on one hand, and replace 2 of the ATGM with 2 packs of four 80mm rockets, which will make it perfect. The American has the same idea. 70mm rockets on pylon for the Hellfire. The IFV it’s more complicated issue, in my understanding the IFVs is the replacement for tanks in the infantry units. For that it needs firepower and the combo turret of the BMP-3 look to me as the right answer for now. I guess some were in the line, the 100mm might be replaced by 120 gun/mortar unit, and maybe the whole turret will be replace with 57mm, ( I prefer 57mm than 45mm gun, because it has more potential) with 14.5mm coaxial, will do the job of the 100mm and the 30mm guns. As for the second turrets, I think one extra turret in a RWS configuration will be enough, the IFV don’t go by itself, and there will be enough IFVs around that will look for each other and all around. 1. Were to install it? You can put it on top of the main turret, or at the back of vehicle to separate the two turrets in case one gets hit. 2. What kind of weapons to install in them? The main objectives of the RWS will be, soldiers, soldiers on top story buildings, open area, basically to defend the vehicle from RPGs. For that we need 7.62mm MG and the GSH -23mm gun or the GSH-30-2K. I think the 30mm has advantage if it can shoot program rounds, and because of better effect on the target. A 100,000 ton Carrier can also float, the problem is buoyancy. The BMP-3M is an 18 ton vehicle. If you add 7 tons to its weight without changing its volume then it will likely no longer remain buoyant and sink. Even if you retain buoyancy, if you get the balance wrong it can still be unsafe in water. The problem is adding weight to improve protection while maintaining its balance and its buoyancy... clearly the Russians decided it was much easier to start from scratch with the Kurganets-25 than to try to modify the design, which is not to say it is not possible of course. Adding large bulky add on armour packages with spaced armour made of synthetic materials and you could possible get to 25 tons in weight and have a vehicle that is more buoyant than an 18 ton BMP-3M. 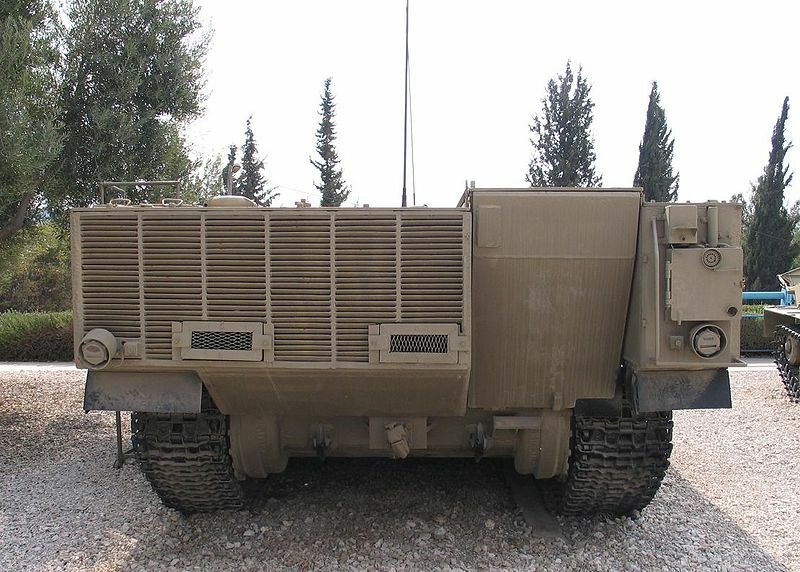 A simple armour improvement could be a small trailer that the vehicle pushes in front of it with mesh chain that defeats ATGMs and destabilises projectiles from the front... you could store food or fuel or ammo in it, it could be designed with an enormous air chamber in it so it floats and attach it with rigid armours to the front hull to move the buoyancy centre to the rear of the vehicle without reducing the thickness of the frontal armour and perhaps even moving the engine to the front of the vehicle... it could even double as a mine roller/anti IED system. With the BMP-3M it would probably just be easier to move the engine. With the armata the APC and IFV models will have the engine mounted in the front so it wont be an issue and the boomerang and kurganets the engine will also be in the front. Armata will not be amphibious, it will likely snorkel. Not sure about the value of the rockets... would think having 4 guided missiles like Kornet-EM would be more useful than unguided rockets. Russian brigades wont have infantry units as such... there is the motor rifle brigade that has 3 regiments of IFVs but 1 or 2 regiments of MBTs, and a tank brigade which has 3 regiments of MBTs and one regiment of IFVs or APCs... in other words tanks work with infantry, so in cases where infantry is needed it still has some tanks to get the job done, while jobs that need tanks still have infantry supporting them. Regarding ammo I am torn because the 45mm is a modern telescoped case round that is compact and powerful, but the 57mm round has more space for guided shells. The 57mm round is huge and would take up an enormous amount of internal space in any vehicle. I think a telescoped case 57mm round should be developed as the best compromise... especially if it can be necked out to a 65mm round in the future to cope with enemy increases in vehicle protection. 2. What kind of weapons to install in them? The mounts will be relatively simple and small so I personally would go with a combination of a PKT and a Balkan 40mm grenade launcher. Both are slim compact weapons that are relatively short, yet should offer decent fire power out to about 1,800m for the PKT and 2,500m for the Balkan. Against human targets the 30 cal bullet and 40mm grenade would be thoroughly effective especially against point and area targets respectively. Does anyone know the max. engagement range of the BMP-3s ATGM? Many say 4km, others say 5.5km, i am not sure who to believe. Also i have heard many complaint about crew comfort, but i have yet to find any photos of the BMP-3s crew compartment. In short just what are these "comfort problems" they are complaining about? Beside the image of the turret there is a link that says "ammo load of increased power and fire range". If you click on that it shows the new missile has a range of up to 5.5km. Regarding comfort, most IFVs are cramped and dusty and usually too hot, and the BMP-3 is no different. I remember reading a comment about a British vehicle called an FV432 which looks a lot like a British M113 except it is steel rather than aluminium. The British commentator stated that if you stay in the vehicle you will be killed anyway, so that lack of comfort means you will be more willing to get out of it in combat which makes them much safer. I rather think that holds true with the BMP-3 as well. AlfaT8 wrote: Does anyone know the max. engagement range of the BMP-3s ATGM? You can believe in both versions.....simply because them refer to completely different missiles for different versions of BMP-3. The first is 9M117 missile for early BMP-3 models ,it had an effective engagement range of 4 km and a penetration potential of 500/550 mm RHA with unitary warhead; was possible to shot up to 2 of them at minute . Arkhan missile [ 9M117M1 ] for latest BMP-3 version ,instead has an effective engagement range of 5,5 km and a penetration potential of 750 mm RHA with tandem warhead to deal with early versions of ERA; is now possible to shot up to 4 of them at minute . "Arkhan" is also significantly faster than 9M117 and has a redesigned fuse for close-miss destruction of enemy helicopters/low flying CAS aircraft and UAVs. Those enhancements to the gun launched missiles was primarily aimed at maintain a reasonable stand-off range advantage over the most advanced BGM-71/HOT ATGM versions available at the time (representing also the ATGMs with the longest engagement range available to western mechanized/infantry forces) allowing so the destruction of bunker or semi-hardened infantry defensive positions and M2/M3 IFVs and M1134 AT vehicles from outside theirs maximum engagement range. 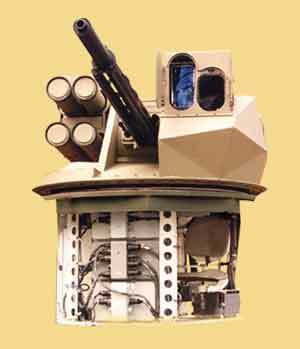 To deal with the less dangerous man-portable battlefield ATGMs ,such as MILAN /M-47 "Dragon" or the more modern FGM-104 "Javelin" and Spike-MR (usually employed ,from favorable choke-points positions, to ambush insulated MBT/IFV/APC transiting in theirs limited engagement area) BMP-3 IFV had integrated a low pressure 100 mm gun purposely designed to fire ,also indirectly, 3UOF-17 HE-Frag capable to eliminate at the root the menace literally saturating possible ambush points . BMP-3M employ the greatly improved 3UOF-19 round, with 7 km of effective engagement range, overhead detonation capability, almost double radius of assured kill and supersonic speed (important to don't concede to enemy ATGM operators any clue to being under attack); this round with the new unified battlefield data network allow coordinated saturation of intended area by part of several BMP-3Ms. I must ask though, how many BMP-3s and 3Ms are currently in Russian service? And concerning India, what are the major differences between the domestic BMP-3/3Ms and the exported ones? Probably only about 700-800 in Russian service... a few hundred more in former Soviet armies they inherited before the breakup. It is most likely that rather than produce a lot more BMP-3 or BMP-3Ms that they will upgrade existing BMP-3s and BMP-2s with new optics and electronics and improved weapons till the Kurganets-25 is ready. Indeed they will likely actually have a bit of a change too... previously the IFV BMP was the heavy tracked troop transport that was expensive but better armoured and armed and more mobile cross country than the APC BTR series. The BTR were faster in places with good road networks and generally had a reasonable cross country mobility, but armour and armament and sensors were lighter/simpler and they were much much cheaper both to buy and to operate. With the new vehicle families the Boomerang-25 will likely have comparable armour and firepower to the Kurganets-25 as it is in the same weight class and will have a unified sensor/weapon/electronic suite... this means that the wheeled vehicles will offer the same protection and firepower, yet be cheaper to buy and operate, which likely means there will be far more Boomerang-25s than Kurganets-25s. For some roles having tracks is very important, but in many cases wheels are actually better... like driving on roads and in terms of mine resistence and in terms of costs wheels are much cheaper and simpler to buy and to operate. 800 is a reaaaally high estimate, real number is probably closer to 500-550. I will admit I didn't count their engine numbers but I doubt he was expecting that... the Army has BMP-3 IFVs, they also have a significant number of BMP-3 based vehicles and the naval infantry likely have a few vehicles as well... 700-800 is an estimate... an estimate that shows there are not tens of thousands but also there is not just a dozen in service. The BMP-3 has gone through several changes including a significant increase in performance of its weapons. Early model BMP-3s had their laser rangefinder/target marker mounted in an external box on the main gun, while later production models moved these optics/electronics inside the turret. Early model ammo required a redesign because the off centre 100mm gun often damaged the turret ring so the mounting was improved. New more powerful ammo resulted in an increase in effective range of the 100mm shells from 4km to 7km, and new optics improved vision dramatically.